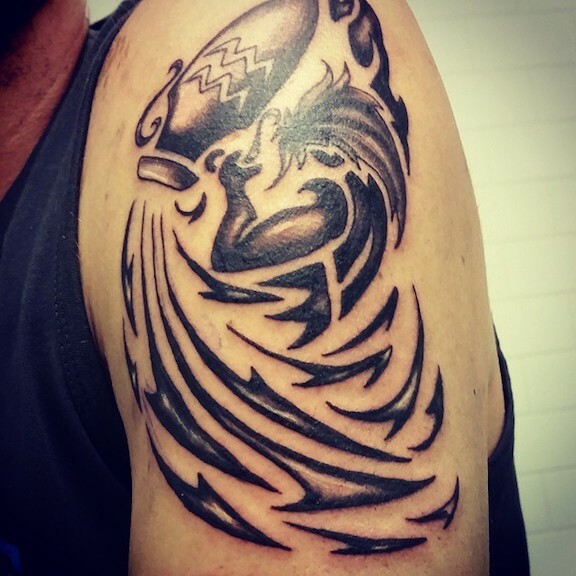 This page contains a tattoo art collection for Aquarius Men and Women. 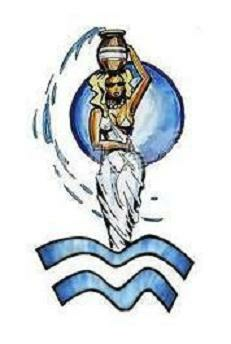 See an assortment of printable graphic designs for the sign of Aquarius. 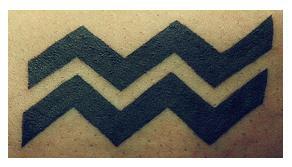 The sign of Aquarius is typically represented by wavy lines that signify water. 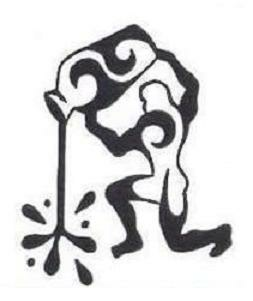 Aquarius symbolism often includes a human figure bearing (or pouring) water from a cup or a jug. Aquarius artwork is characterized by smooth, rounded lines that give rise to irregular shapes and forms, creating the illusion of smooth, flowing motion, like water. The colors most often associated with the sign of Aquarius are pale blue, cool green, fawn, white, silver and light shades of gray. To make any of these designs your own, just right-click on any image and select a SAVE option from your drop-down menu. This will save the image to your picture file for future use. From there, you can reduce it, enlarge it, or otherwise alter the design to make it uniquely your own. 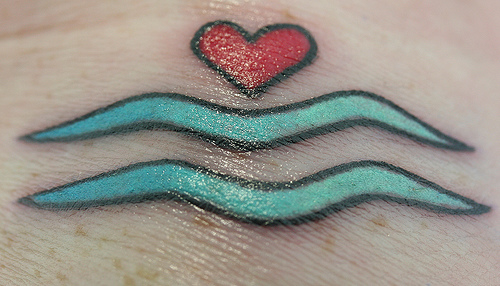 Shown above: This sweet, simple design is a perfect first tattoo for a female Aquarius personality. 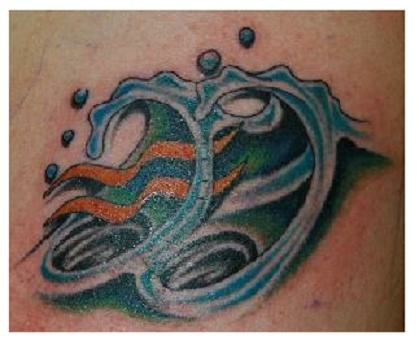 Works well as a small wrist or ankle tattoo. The last design on this page features strong, angular lines. An excellent choice for Aquarius men. 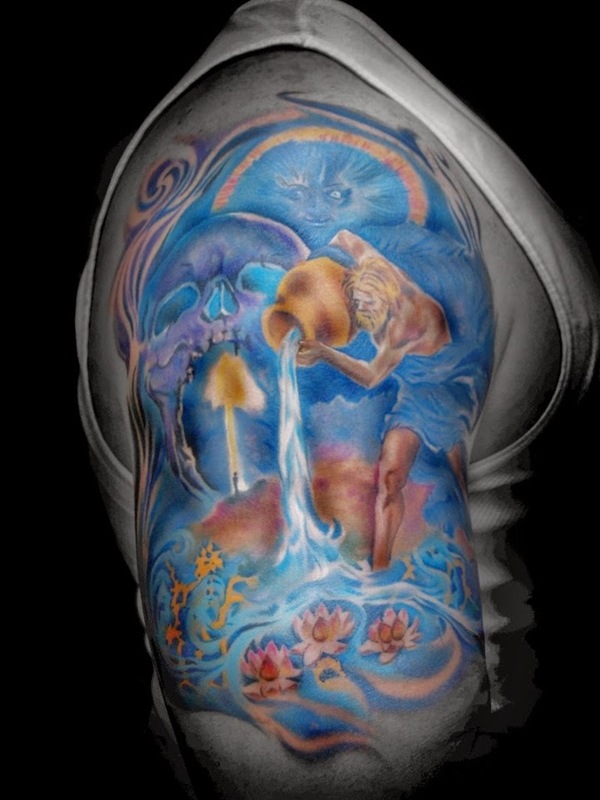 Permanent tattoos are created by injecting pigment directly into skin tissue using a needle. These can only be removed by cosmetic laser surgery. These designs are also useful for adding a personal touch to your favorite stationery paper, designing business logos, adorning web pages, creating innovative digital art, and just about any other imaginable purpose. For a broader selection of Zodiac designs, personality profiles, poems, and cool gift ideas, visit any of the links on this page. The images shown on this page can be used to adorn your correspondence, design a logo, decorate a web page or for any other purpose you can possibly imagine. Designs of the Eastern Zodiac.